Pickled eggs have been around since before refrigeration. Today they are popular as a snack at the local tavern and sold in select grocery stores. They are a fairly healthy snack too because they are low in carbohydrates and fat and high in protein. 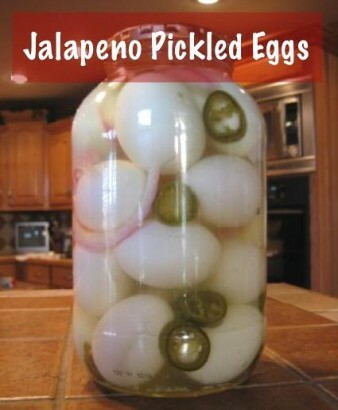 If you want to make spicy and easy pickled eggs, then check out this recipe from Texas Recipes. These eggs also are a great addition to a salad, including potato salad.